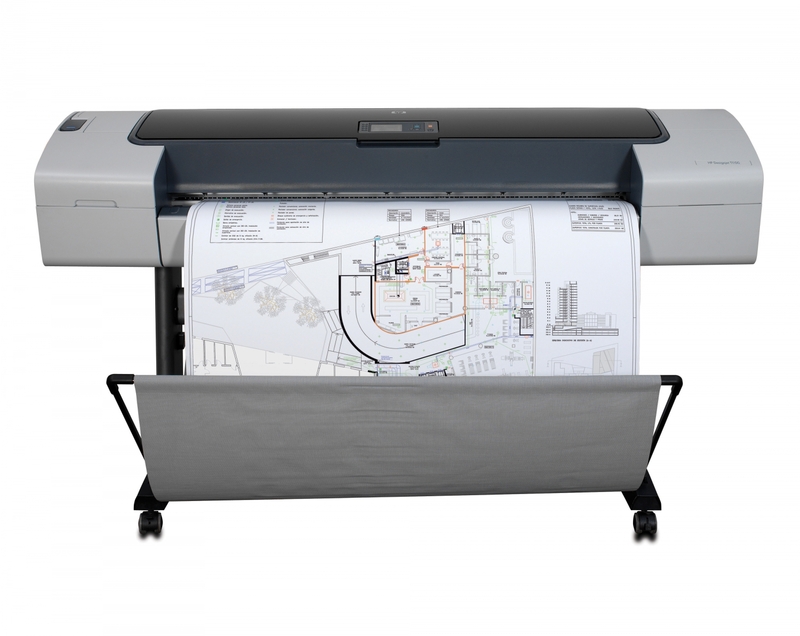 We support the entire range of HP Designjet Plotters including the popular HP Designjet T1100 Series. We can provide on-site support and maintenance for your HP Designjet T1100 Printer. Our experienced service engineers can attend your offices to repair and service your HP T1100 Plotter. Get in touch to discuss your HP Designjet T1100 Plotter repair. System Error 47:01 means there is an issue with the Starwheel Motor Assembly which is located in the left end of your HP Designjet T1100 Plotter. The starwheel motor is used by the printer to move the starwheel assembly up & down to allow the paper to load/unload. Due to the constant movement of this motor it is a common fault for the motor & gears to fail. Normally the Starwheel Motor Assembly will need to be replaced to clear the error. Poor print quality, banding & horizontal lines through your prints are all symptoms that your HP Designjet T1100 Plotter needs a maintenance service. Dirt & ink aerosol can build up on the internal components of your printer and cause print quality issues. Our Engineers can visit your site to 'strip-down' your printer and perform a full service.